Azure Standard had a lot of organic citrus available this delivery period. Being a drop point and being able to order lots of yummy food delivered to our door once a month is lovely. Even if it often ends up being the same price as finding a good sale at the grocery, this way I don't have to shop sales or load the girls up to take them shopping. Anyway, 10 lbs of lemons, 20 lbs of blood oranges, and 6 lbs of limes are going to be made into curds, marmalades, and LIMONCELLO. Q's wanted to make limoncello for years so he opened a gift on his birthday (a week before the drop) that included a large bottle of vodka, a microplane zester, and Willow's toy lemon with a note promising real ones in the near future. The recipe we're using is the basic one from Limoncello Quest, a guy who really seems to like his limoncello. Might as well experiment based on wisdom learned through someone else's passion. It calls for 17 lemons. This makes a lot of zest (as you can see above). If you ever have cause to zest any citrus, you must invest in a microplane zester. I don't see how you could get all zest and no pith any other way that isn't extremely frustrating. 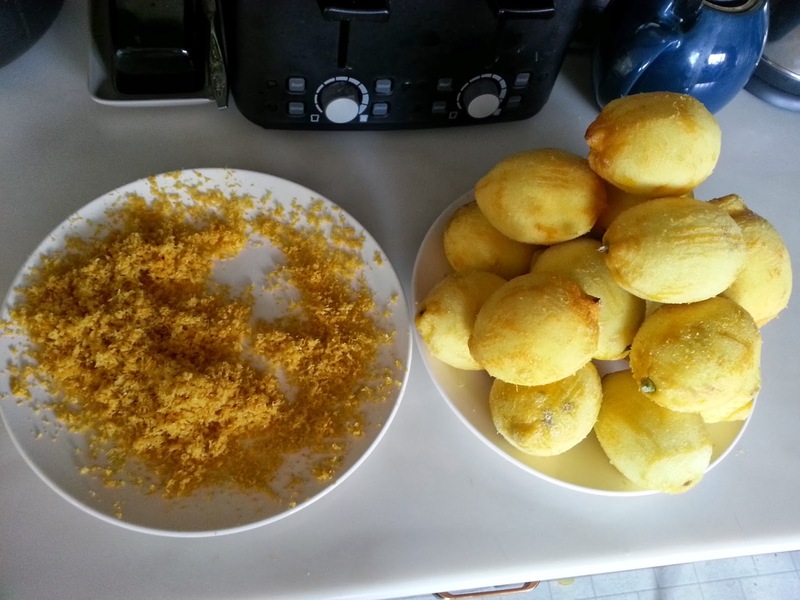 It took me about 45 minutes to zest all 17 lemons, with occasional interruptions as Wil found ways to "help". 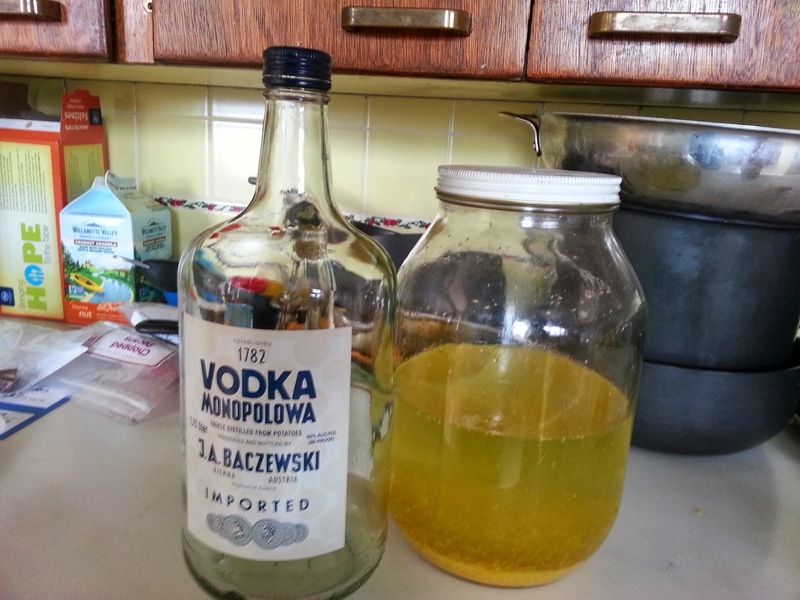 I had no idea that just adding the zest to the vodka would immediately turn it this neon yellow color. Now we just have to be patient - 45 to 60 days before we add the simple syrup and filter it then let it age at least another 45 days. Argh! At this rate, I'm going to need to plan some 4th of July limoncello cocktails. 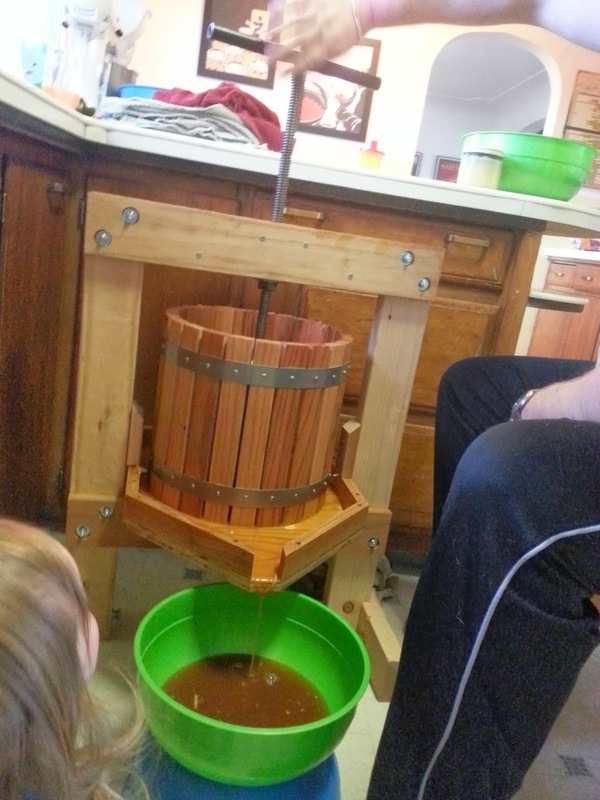 In other news, Q finished building our cider press on January 26. We still used to Kitchen Aid shredder attachment to grind the apples. A grinder is next season's project. It's pretty awesome owning a press though. I want to try making pear cider next season too, if we can get some inexpensive pears. It's all ready to rack! Since it fermented a such a cool temperature in the root cellar I hope it's a really yummy batch. 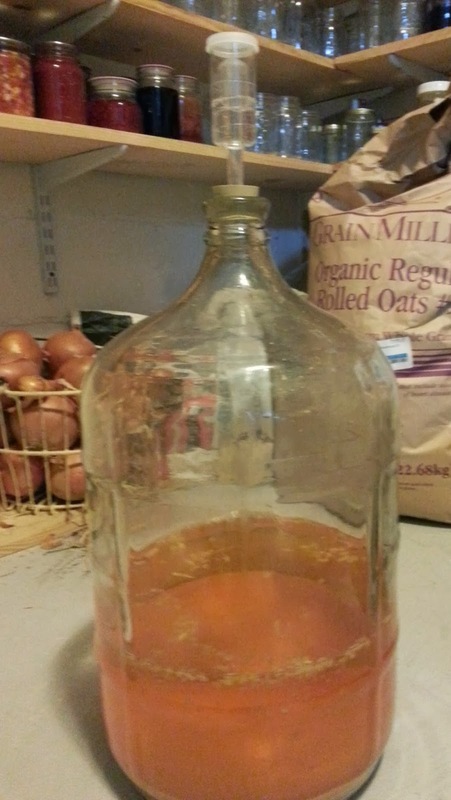 (Cool and slow cider fermentation helps prevent off flavors.) We always kill the yeast (we use champagne yeast for a less "beery" flavor than cider yeast) and then add some sugar. This makes it perfect for my girly palate and very dangerous. It usually ends up 6-8% (once it was more like 11%, oops!) and if it is sweet you can down way too much way too fast. Alas, making good alcohol takes sooo long.